Forsaken has been out for a week now, and I can barely tear myself away from grinding away, discovering its secrets, and enjoying Gambit enough to write my impressions (or do much of anything else, to be honest). In many ways, it feels disingenuous to call Forsaken an expansion. For all it does for Destiny 2, Forsaken feels like an entirely new game. Whether you were playing Destiny 2 last month, or you haven’t touched the game for almost a year, just about everything you thought you knew about Bungie’s MMO shooter has been turned on its head. On that note, as a disclaimer, I hesitate to call this a review. The Dreaming City is still changing, the endgame grind has yet to be fully discovered, and the Raid hasn’t even launched yet. Destiny 2 is a game that you are in for the long haul, which means taking the time to make sure the content ages well with the repetition and grinding that it demands. I also have a couple of (small) critiques that could very likely be resolved in coming updates. Initial impressions are looking really, really good though. Running through everything that was added, I want to touch on the overarching theme that Bungie completely nailed with Forsaken: they brought back the hobby. Launch Destiny 2 had things to do, but it was a more rigid checklist. Once you were done, players found themselves hitting a wall where progression ground to a halt. Bungie wanted to design a game that could be walked away from without it feeling like a second job, but it had the adverse effect of alienating the core Destiny fanbase that wanted to do nothing but play this game. The studio has slowly been fixing that problem since the start of the year, but Forsaken is where they really gave people reasons to come back at literally any moment. Can I say there is too much to do in Destiny 2: Forsaken? You can make your way through the story and then hang out in the Dreaming City, Forsaken’s new endgame destination. You can take on a bevy of new bounties from various vendors. Fancy replaying older content? 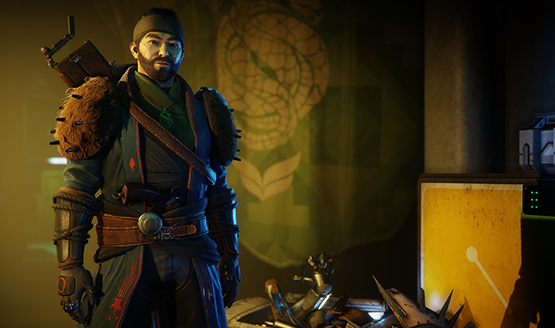 Hop into the revamped Strike playlist or go through the new Daily Heroic Story playlist. Competitive environments more your thing? The Crucible is waiting for Guardians like you. And of course there’s the all new PvP/PvE hybrid mode, Gambit, which is about to get logged by the World Health Organization as a brand new addiction, because seriously just try and stop. All said, living games like Destiny 2 are hard to review. A review is a wall of text trapped in a moment in time, yet in just one week, a month, or three months, this game will have changed numerous times. Will the things I like now age well? Will the criticisms I have be fixed soon? Does the platform support future content releases and events effectively? It’s difficult to know any of these things even after a full week with the game. Most notably with Forsaken, Bungie’s made Destiny back into a lifestyle, so here are my initial quick impressions of the things I loved, and a couple things I don’t. You’ll immediately notice Forsaken’s much darker tone. The revenge-oriented storyline of avenging Cayde’s death becomes a driving force, setting our Guardians on a collision course with Uldren Sov (Bungie even lowered the saturation and changed the contrast in a recent patch so that the game’s visual matched the new tone). But that’s only half the story. Forsaken sets up enough threads through the vengeance story that the game easily springboards into the endgame once that initial narrative arc has concluded. Yes, the endgame actually fits in with the overall themes and lore, feeling more meaningful for our Guardians to take part in. It’s a feeling that’s been missing since Destiny 1 and the Taken King/Rise of Iron storylines. 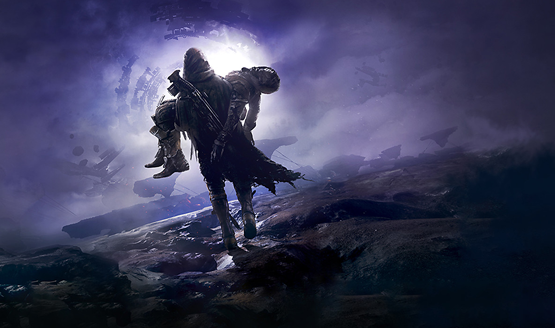 Destiny 2 hinted at these darker themes in the base game (loss of Light, mortality, humanizing a villain), but they were quickly forgotten as we moved into the endgame. There was also a severe imbalance of awkward comedy that simply didn’t land well in the face of the supposed seriousness of the situation. Forsaken’s got some comedic beats. Cayde is a joker right up until the moment he dies, but those comedic moments are played out in support of the character and the emotion, not in spite of it. Enter the Tangled Shore. The Tangled Shore in the Reef is a wild frontier, cobbled together from wrecked tech and asteroids that are floating about. This massive new destination feels treacherous at every turn, but also varied enough to warrant persistent exploration. 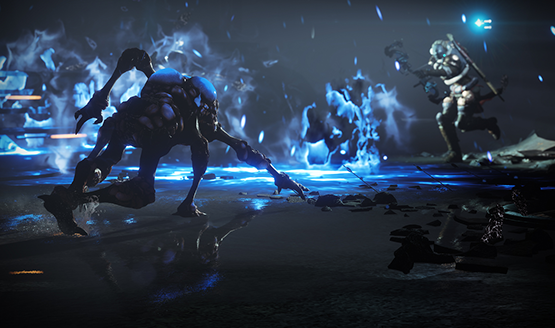 It’s one of the first destinations to prominently feature more than three enemy races (Scorn, Cabal, Hive, and Fallen can all be found on the Tangled Shore, depending on what sector you are in). Want to give the Red Legion a bit more what for? Head to Sorik’s Cut. Fancy popping the heads of the Hive? Might want to make your way to that downed Tomb Ship that’s become lashed to the tangled web of asteroids that make up this environment. Underpinning the story are the eight Scorn Barons that haunt these shores. Once you’ve crossed each of the Barons off the list (through unique and fun missions that bring out the personality and style of each one), and you target Uldren himself, story threads move us forward naturally into the Dreaming City. Things are a whole lot bigger than Uldren, but because this mission all started with the death of Cayde, it all still feels meaningful to continue the pursuit. And that pursuit has led to a lore payoff that Destiny fans have been waiting years for. I won’t spoil it, but the threats that await in the Dreaming City are horrifyingly wondrous, like The Hobbit’s Smaug. Looking at the juxtaposition between the gritty Tangled Shore and the beautiful spires of the Dreaming City is yet another thing that makes the DLC feel so full. 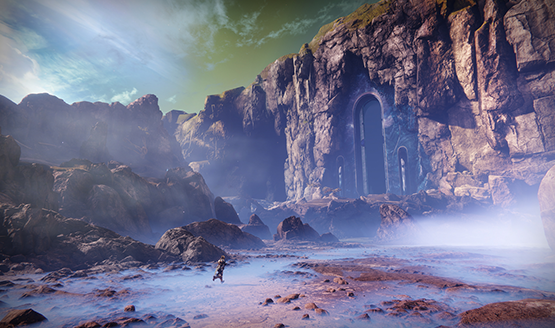 The Dreaming City is an entire endgame destination that players can explore, filled with secrets and activities that will keep them busy for a long time. It couldn’t be more different than the Tangled Shore, and plays the perfect foil to the lawless wastes. Greenery washes over massive mountains of purple obsidian, mists obscuring the land in a non-threatening yet mysterious way. Don’t be fooled though. Great threats lie in wait in the Dreaming City, including Scorn that have made their way here, and the Taken that infest the area. Delicate structures around the landscape immediately call to mind the architecture of The Lord of the Rings’ Rivendell. Being a futuristic space sci-fi game, it’s great to see Bungie embrace a bit of fantasy for this environment. In a lot of ways, the Scorn remind me of Tolkien’s orcs and Uruk Hai (they are resurrected Fallen that have been experimented on), so seeing their nasty brutishness marring the clean beauty of the Dreaming City furthers that commitment to fantasy. Yet we still get a lot of cool guns to shoot things with. And the bow. Oh yes, we get the bow. Realistically, with the Dreaming City, we’ve barely scratched the surface of what’s coming. Bungie says the destination is on a three-week cycle, meaning that it will change every week for three weeks before returning to its original state and starting again. In addition to housing the Last Wish Raid and the Blind Well horde mode challenge, Ascendant challenges allow players to discover secrets hidden within the Ascendant Realm side of this destination. I haven’t had much of a chance to explore the Dreaming City to its fullest yet, but I’m excited to peruse a destination designed for the endgame grind. Even the grind in Forsaken has made things better. Random rolls on perks are back! It didn’t take me ten Better Devils to get a god roll (Outlaw and Kill Clip, delicious), but the idea that repeat loot drops can now have some added value increases replayability significantly. Getting a new weapon is exciting, but it might be even more exciting to get a repeat with a better roll. Perks can also be situational, so it’s sometimes worth keeping around multiples of a single gun depending on how you plan to use them. Now the climb to peak power level is a slow one, which means lots of playing and getting excited for drops that help bump up your light. The economy of infusing weapons and armor is also far more deliberate, so players will have hard decisions to make on what’s worth bringing along, as well as grinding for the right to boost that gears’ power. Some Exotic items are also dropping at a far reduced rate (minus difficult quest-based ones), which makes them actually feel, you know, exotic. Vanilla Destiny 2 handed Exotic gear out like candy, so instead of meaning something to the player, they just became part of standard loadouts. With Forsaken, the only new Exotic I’ve had drop in a week’s worth of grinding is The Queenbreaker, a linear fusion rifle. Now I don’t know if this weapon is considered good, bad, or somewhere in between with the meta, but to me personally, I love this gun and have been having a lot of fun with it because it’s my one and only Exotic. To me, that’s what truly sets Exotic items apart and makes them feel like the special pieces of gear that they should be. Overall I am still grinding away. I had intended to marathon all three of my characters through the story and have them Raid ready, but due to the depth of the grind, my second character hasn’t even seen inside the Dreaming City yet. There’s just been so much to do. I could barely tear myself away from the game to write these impressions, let alone from my main character to level up my alts. Very weird thing to consider: Guardians are beings that have been raised from the dead using the Traveler’s Light, and the Scorn are resurrected Fallen, experimented on with corrupted ether. Ah, we’re not so different, you and I. As the first wholly new enemy race in Destiny since the Taken (Siva Fallen were arguably not that much different from regular Fallen), the Scorn have quickly become my favorite things to fight. In every battle, each new Scorn enemy challenges the way I play and how I have to think about tackling enemy encounters, but they rarely tread into the realm of being annoying to take on (like some other enemy types can). Being challenging without being aggravating to the player is a tough balance to find, but Bungie managed it with these depraved monsters, born in the deepest pits of the Prison of Elders (See? Totally orcs). Screebs act like Cursed Thrall, but with a larger explosion and a much faster movement speed. Headless Ravagers charge the player swinging flaming lamps (which also act as their weak point). Chieftains can summon elemental totems that have varying abilities to further complicate battles. There are a number more, each adding to the fight in their own unique way, making gunfights in Destiny 2 feel fresh again. The Scorn aren’t the only things changing up the combat though! Making our superhero fantasies come true, the new Supers add even more variety to skirmishes with groups of enemies. We’ve been playing with the existing set of subclass perks and Super abilities for a long time now. Even the change from Destiny 1 to Destiny 2 wasn’t hugely drastic, and in some people’s opinions was a step backwards (choice between two fixed perk nodes). With Forsaken, Bungie added a third node cluster to all nine of the game’s subclasses, and not only are these offering variety, they provide some of the most synergistic abilities Destiny has ever had. If you recall, Bungie’s shown off the Supers before, and while those are a lot of fun to play around with, what struck me most were the new subclass abilities that often have completely new ways to play the game. 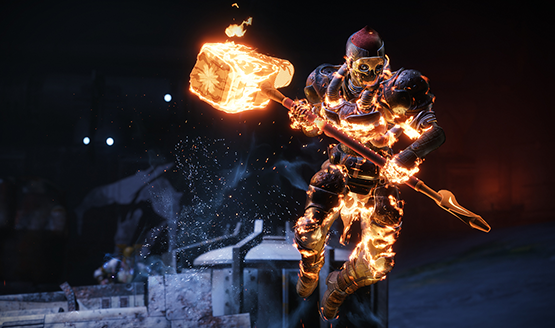 The Solar Titan now gets a throwing hammer as a melee strike, but if you can find and pick up the hammer before it explodes, you get your melee energy back and begin health regeneration. Oh, and kills with solar abilities now grant up to three stacks of increased damage with solar abilities for a generous amount of time. New abilities for the Void Titan let him infect enemies with void detonators (that then also infect other enemies, etc. ), the Solar Hunter sends out a fan of knives, and the Warlock can do things with the Light across all three subclasses that you may have never thought possible. Many of the abilities offer support to your team, helping the classes to lean into their roles more than Destiny 2 has allowed them to. The new Supers all seem inspired by crazy moments seen only in anime and superhero films, which means that it’s an exciting time to be a Guardian. Even the new sublass perks are part of the grind, so that they feel valuable once you have them. They slowly unlock as you use them, increasingly getting better and better, and at this point, they’ve only released ways to unlock two of your three new subclass nodes, so choose wisely. You aren’t about to be handed all three new Supers immediately. As discovered in a massive video game poll of me and other people who think bows in video games are really cool, it was determined that bows in video games are really cool. It’s the perfect balance of power, precision, and mobility. 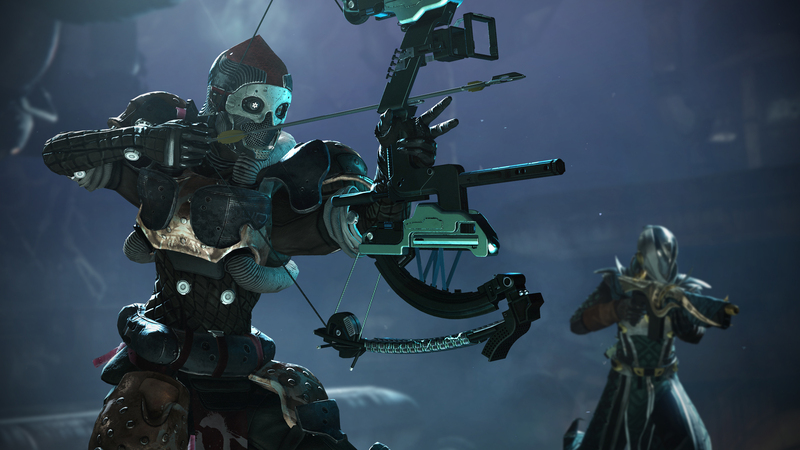 Useful at close ranges and at a distance, bows are the most distinct new weapon ever added to the Destiny franchise. The animations, sounds, and general feeling of these weapons is top-notch. There aren’t a lot of them in the game right now, but with the love the community is showing for the new weapon type, it’s inevitable that Bungie will embrace them and add more in future content releases. Can I help it? I will run a bow in at least one of my weapon slots at all times. They just feel that good to use. It’s nice to have something else for certain situations, like a panic sidearm when precision isn’t an option or guns that can deal more consistent damage to bosses, but generally I will try to Legolas every encounter. Even though it might seem a bit weird to add a bow to a game that already has rocket launchers, snipers, and hand cannons that fire the very essence of darkness, Bungie managed to make them fit right in with the gameplay, not sticking out too much bet still being a ton of fun to play with. Destiny still has some of the best shooting mechanics I’ve ever experienced in games, and this translates to the work that went into making the bow feel absolutely perfect to use. One is pitted against both the enemies of the Light and other Guardians. Gambit is a massive game of risk and reward where every single moment and decision can make or break a game. 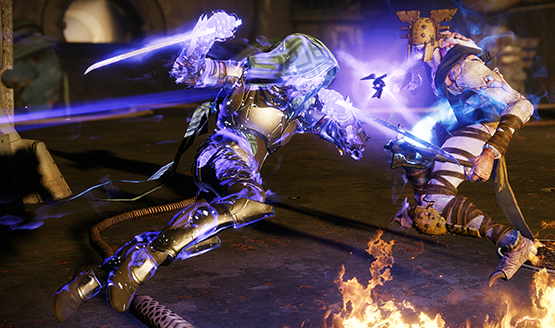 It’s a PvE/PvP hybrid mode that pulls together elements from each to form the ultimate competitive arena. Destiny’s always been a crossroads of PvE and PvP, allowing players to take their characters and gear between the two. Gambit is the missing link that bridges the gap. 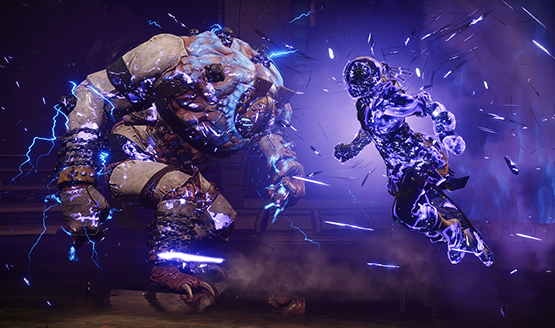 For the win, two teams of four race to kill enemies, collect motes, and summon a Primeval in an attempt to kill it before their opponents. The twist is that a portal will open up at regular intervals, allowing one player from each side to cross over to the other and wreak mayhem on the other Guardians. It’s a game full of choices. Bank the motes or collect more? Use the heavy ammo or Super on an invading Guardian or the Primeval? There aren’t always right or wrong answers to those questions, and big gambles can either pay off massively or mean a decisive defeat. So, I’m addicted to Gambit. If only there were a way to boil Gambit down and shoot it straight into my veins, I might just do that. I’ve talked extensively about Gambit based on a couple of matches at E3, but I had no idea just how insanely addictive the mode would become after release. When you include things like the new weapons (see above: bows, random rolls, etc. ), new subclass perks, and rank up rewards, as well as a full pool of Gambit exclusive loot, there are few reasons to even stop playing this one mode, let alone Forsaken. Predictably, as a new mode there are a couple of balance issues with various weapons. Notably, people have been unhappy with how cheesy Sleeper Simulant is, allowing for easy kills on other Guardians from across the map while also offering massive boss damage. There are ways to counter it, but it still feels pretty bad when you come face to face with an entire team rocking Sleepers while you try to parse the nuances of other weapons. Another indicator of Bungie’s success with Forsaken is how many people are playing it and talking about it. My clan is all in, and there have been frequent nights spent in party chats with a bunch of friends while we all played either together or separately. Destiny has always been the type of game that’s better played with other people, and Bungie’s got a way of bringing people together. I had a blast playing all weekend with a bunch of people from my clan, some old friends from Destiny‘s launch, and some brand new friends made with Forsaken’s launch. We’ve played Gambit, Crucible, various story missions, and attempted to grind out high-level gear in the Dreaming City. Destiny is back in the eyes of the players who want to love the game. The subreddit has exploded with excited fans and their new discoveries, things they love, and criticisms. We haven’t seen activity and excitement like this since The Taken King was added to Destiny back in 2015. Community consensus is that Forsaken actually surpasses The Taken King, widely considered to be the best content release and update in Destiny’s history. While I won’t state a firm determination just yet due to so many unknowns in Forsaken’s future, I’m heavily leaning in that same direction as well. I mean, simply adding even more secrets and the Raid with the most boss encounters ever can only be a good thing, right? Even with all the good, there are still a few balance things to work out overall. The current infusion economy to level up gear uses Masterwork Cores, a rare material that is also used in Masterworking weapons. Given that Forsaken is a direct response to community feedback, and the fact that the community is already providing tons of feedback about the new expansion, I expect that we’ll see updates to anything that could be deemed a problem very soon. That’s the nature of constantly updated living-world games like Destiny. In a week, there might be twenty new commendations and critiques I could add to these impressions. Being a part of the moment-to-moment changes is one of the things I love about being a Destiny fan. Through the lows like Curse of Osiris, the highs like Forsaken seem even greater. Simply put, Forsaken is the perfect game for the Destiny player. It’s filled with Easter eggs and secrets to discover. It’s got a great grind that’s almost impossible to tear yourself away from, in the best way possible. It can be rewarding to play casually solo, but it’s the kind of game that designed to be played long term with friends and like-minded players. There’s a variety of activities to take part in so that nothing ever feels stale. There’s Gambit. Destiny 2: Forsaken is unlike anything we’ve had in Destiny before, while somehow being exactly what Destiny should be, and that’s not even considering the Raid and the evolution of the game going forward. Destiny 2: Forsaken review code provided by publisher. Impressions based on Destiny 2 update 2.0.1 on a standard PS4. Any changes made in subsequent patches came after publication. Full scored review coming after we’ve had a chance to participate in the Raid and see the continued evolution of the Dreaming City destination. For more information, please read our Review Policy.